QAR 2814 including 15 QAR shipping. It has been a while since any phone managed to truly surprise us with new features which includes phones like the iPhone XS and Google Pixel 3. 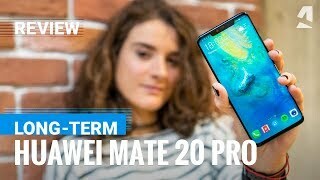 However, Huawei has officially revealed the Huawei Mate 20 Pro and looks like there are some really good features to look forward to in this phone. 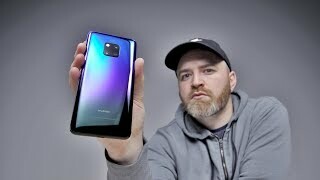 To find out what those features are and the Huawei Mate 20 Pro Qatar price, continue reading. 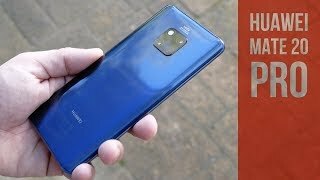 It’s safe to say that the Huawei Mate 20 Pro is quite the looker and a good number of people will fall in love at first sight. Right after the Huawei Mate 20 Pro release date Qatar, it will be available in four different colors: Emerald Green, Midnight Blue, Black and Twilight and the Twilight two tone looks really pleasing to the eyes. It’s also IP68 rated which means users get dust and water resistance. The big 6.39-inch screen covers a good part of the body: 87.9% screen-to-body ratio and shows 3120 x 1440 pixels resolution, 19.5:9 aspect ratio and 538ppi of pixel density. There is no headphone jack but users will get a Type-C to 3.5mm headphone jack adapter. There is a notch on the display like the latest iPhone XS Max but it’s not similar to the Google Pixel 3 XL which didn’t sit well with a lot of people. At this point, triple cameras shouldn’t come as a surprise but it still sounds gimmicky. However, users will be surprised with what this camera has to offer: 40-megapixel with f/1.8 aperture as the main sensor, 20-megapixel with f/2.2 aperture is offered by its ultra-wide sensor while the telephoto sensor comes with 8-megapixel and f/2.4 aperture. There is no monochrome sensor this time and the results offered by this trio is quite amazing. Google recently introduced a new Night Shot mode that can offer great low-light performance but the Huawei Mate 20 Pro takes that even further. There are also new features like real-time video filters and 4D tracking. As for the front camera, it’s also a surprising 24-megapixel 24mm wide sensor with f/2.0 aperture. We will be able to learn more about this camera after the Huawei Mate 20 Pro release date Qatar. 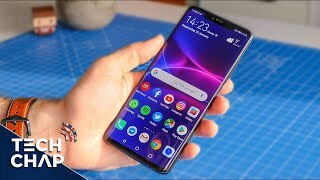 For those of you who were happy with the battery life of the Huawei Mate 10 Pro, the new 20 Pro takes it even further with a bigger 4200mAh battery and super-fast charging. Users can get 70% charge in just 30 minutes. 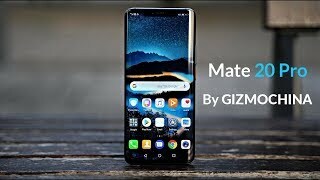 We will be able to verify this claim after the Huawei Mate 20 Pro release date Qatar. This new battery is expected to last longer thanks to the new HiSilicon Kirin 980 Octa-core processor. That’s not all as this new phone comes with wireless charging support and ‘Reverse Wireless’ charging feature. Users will be able to use this phone as a powerbank and recharge other phones wirelessly. Another noteworthy feature is its fingerprint sensor which is hidden under the display. It’s not a new feature but it’s definitely a first among the big players in the smartphone market. Other notable features include: NM card slot, 6GB of RAM, 128GB built-in storage, 720p videos at 960fps, stereo speakers, Bluetooth 5.0, Face ID, USB 3.1 port, Type-C 1.0 reversible connector and NFC. This is probably one of the major cons of this phone if you are ready to ignore the absence of a headphone jack: it’s price. The Huawei Mate 20 Pro is super expensive and will cost around QAR 4000 . 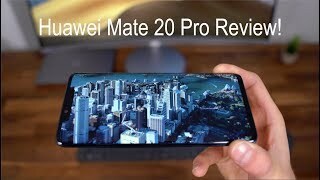 It is definitely worth checking out if you are ready to accept the Huawei Mate 20 Pro. 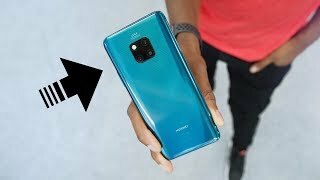 The Huawei Mate 20 Pro release date Qatar is expected sometimes in October, 2018.